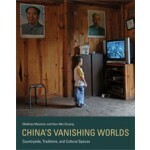 The book China's Vanishing Worlds. Countryside, Traditions, and Cultural Spaces is an impressive documentation in images and text of modernization’s effect on traditional ways of life, and a sympathetic portrait of lives burdened by hardship but blessed by simplicity and tranquility. The scars of China’s recent history and the decay of centuries-old traditions are made visible in this volume, but so is the lure and promise of technology and another life for young people. In the next twenty years, an estimated 280 million Chinese villagers will become city dwellers, leaving their ancestral homes in search of urban jobs and opportunities. Just a few kilometers from the glittering skylines of Shanghai and Beijing, we encounter a vast countryside, an often forgotten and seemingly limitless landscape stretching far beyond the outskirts of the cities. 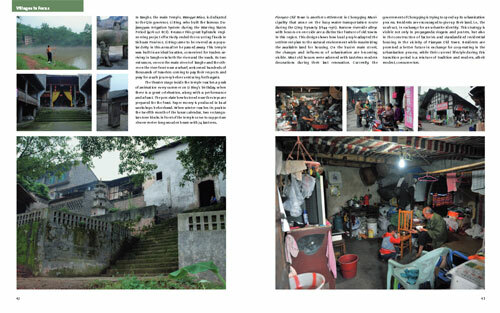 Following traces of old trade routes, once-flourishing marketplaces, abandoned country estates, decrepit model villages, and the sites of mystic rituals, the authors of this book spent seven years exploring, photographing, and observing the vast interior of China, where the majority of Chinese people live in ways virtually unchanged for centuries. In striking and evocative color photographs, we see picturesque villages set against a background of rolling hills, planned centuries ago according to the principles of feng shui; a restaurant with bright pink resin chairs and a wide-screen television; traditional buildings preserved by the accident of poverty and isolation; ramshackle rooms decorated with portraits of Chairman Mao; backpack-wearing children walking to school; festivals with elaborately costumed performers; old men playing cards; buyers and sellers at open-air markets. 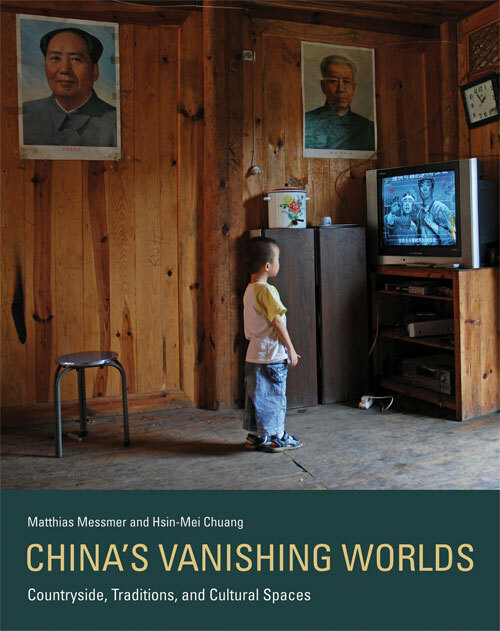 China's Vanishing Worlds. 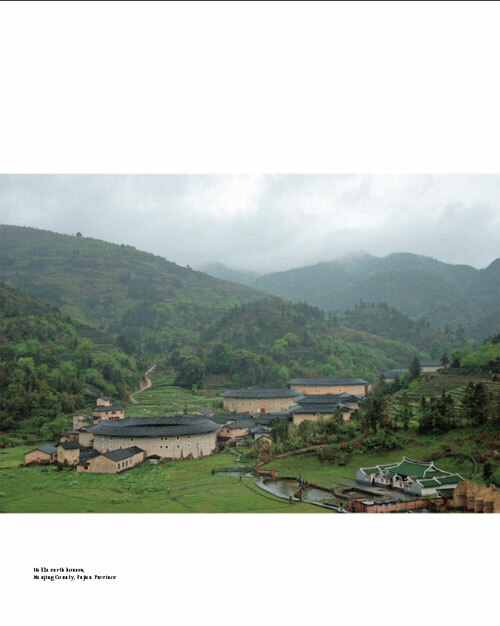 Countryside, Traditions, and Cultural Spaces offers readers a rare opportunity to glimpse China as it once was, and as it will soon no longer be.